Why should one invest in a Property in Mohali? Mohali is one of the fast-growing cities in Tricity with elite residences and superb infrastructural developments. Punjab Government is also putting their best efforts for the physical and social infrastructure developments all across the city. For these reasons, investors and buyers are showing their huge interest in the properties here. The opening of International Airport is another reason that Mohali is emerging as a realty hotspot. Mohali is located very close to the capital city Chandigarh and offers abundant jobs and business opportunities to the individuals. The trend of living in apartments is on rising for several reasons like the safety and security, availability of major conveniences within reach, community living and much more. Today, people are more interested in buying Flats in Mohali as compared to plots. Apart from this, the growth and boom in the IT sector and other businesses have contributed immensely towards the development of the luxury housing market across Tricity. The areas like Mohali, Greater Mohali, and Zirakpur which are close to IT city have seen a great demand for flats among professionals. Most of these properties are affordable and within the reach of mid-range and low segment buyers. 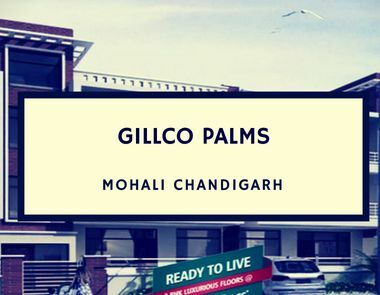 If you are planning to invest in the most-luxurious Property in Mohali, then you should have a look at Gillco Palms Project located in Sector 115. This is an integrated township spread across huge acres of land surrounded with landscaped gardens and greenery. The property is beautifully designed and offers 2 and 3 BHK floor sets in varying sizes. The layouts are brilliantly planned to ensure optimum utilization of space and allow maximum natural light and air to reside in. The wide balconies and large windows overlooking the landscaped gardens ensure spectacular views of the surroundings. 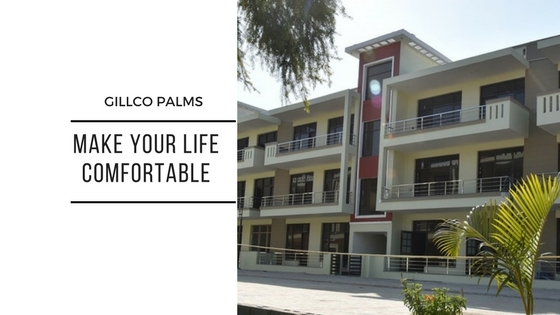 Gillco Palms Mohali is the best Property in Punjab that is becoming successful in holding the attention of buyers for the luxurious features and amenities it offers. This is an independent floor project that is designed with simplicity and elegance to meet the expectations of modern homebuyers. This is a freehold property that will appeal to an exclusive group of buyers who believe in privacy and looking for a home that is safe and conducive for the family. Some top of the world amenities available at the development includes round-the-clock availability of in-house ambulance, intercom facility, in-house school, clubhouse and much more. Apart from the above facilities, the development is located on the 200 ft. wide Kharar-Landran Road ensuring fast and smoother connectivity to all the major landmarks in and around the Tricity. Investing in this property assures good future returns and the property prices are increasing very fast. So, it is better to make an investment now before it is too late.